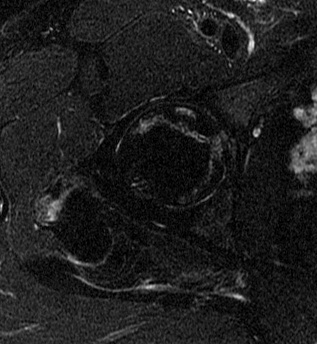 Alternating serpentine bands of high and low signal are demonstrated in the femoral head. The contour of the femoral head is maintaned. 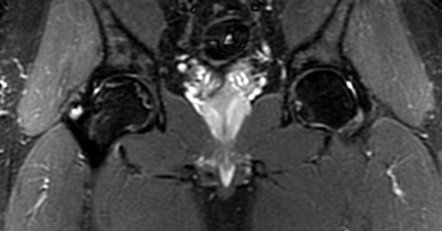 In some advanced cases of osteoarthritis, it may be difficult to differentiate avascular necrosis from degenerative changes.